1 Connecticut: Vital Records (The Barbour Collection), 1630-1870, Waterbury, p. 317, Marriage record for Stephen Upson and daughter Mary Lee, New England Historic Genealogical Society (Online Database). 2 Anderson, Robert Charles, The Great Migration Begins: Immigrants to New England 1620-1633, Vol. 2, G-O , Boston: New England Historic Genealogical Society (1995), 872. 3 Connecticut Society of Genealogists, The Connecticut Nutmegger, 2000, Vol. 33, p. 187, New England Historic Genealogical Society (Online Database). 4 Dwight, Benjamin W., The History of the Descendants of Elder John Strong, of Northampton, Mass., Vol. 2, Albany, New York: Joel Munsell (1871), 769, Google Books (Digital Library). 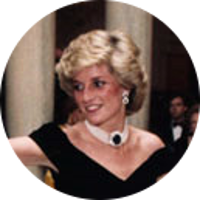 5 Evans, Richard K., The Ancestry of Diana, Princess of Wales , Boston: New England Historic Genealogical Society (2007), 145. 6 Lee, Leonard and Sarah Fiske Lee, John Lee of Farmington, Hartford Co., Conn., and His Descendants, 1634-1897, 2nd Edition, Meriden, Connecticut: Republican-Record Book Print (1897), 48, 53-58, Google Books (Digital Library). 7 Lee, Samuel, Genealogy of the Descendants of John Lee, Boston: Unknown (1874), 1-2. 8 The Upson Family Association of America, The Upson Family in America, New Haven, Connecticut: The Tuttle, Morehouse and Taylor Company (1940), 10, Hathi Trust Digital Library.